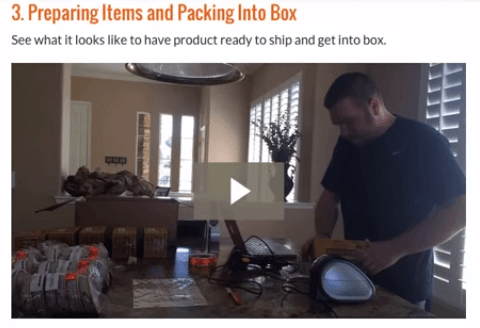 Welcome to my Amazon BootCamp V 3.0 review 2019! 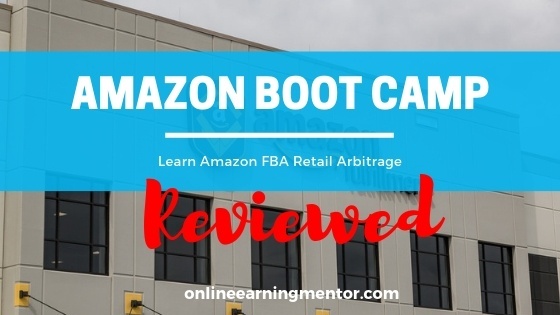 Amazon Boot Camp claims to be the best course to start your Fulfillment by Amazon (FBA) business using retail arbitrage. This method has helped the owner to earn six figures income from the very first year and he wanted to impart the same successful strategies to people. I know FBA is a legit business model, but whether this course has the potential to fulfill its promises, that’s the main question you may be looking for. That’s why; I must congratulate you for sparing your time and researching on the internet about Amazon Boot Camp. I am not related to Amazon Boot Camp in any form. Instead, my purpose is to give you all the truths about this Company. Is it really that easy for Amazon Bootcamp to fulfill its promises? Is it worth your time? And most importantly, is Amazon Boot Camp a scam or legit? Summary: Amazon Boot Camp V 3.0 is a course on making a successful business from Amazon FBA. Though their are many types of business that can be fall under FBA (like retail arbitrage, private labeling, and wholesale) but the focus of this course is on retail arbitrage. The course provides you excellent training on this business and i highly recommend you this program of you are a US resident and exploiting thsi business model. 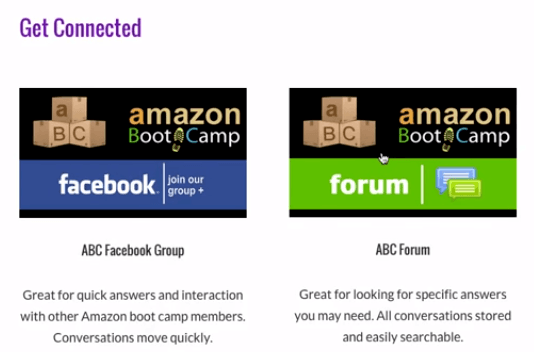 What is Amazon Boot Camp? 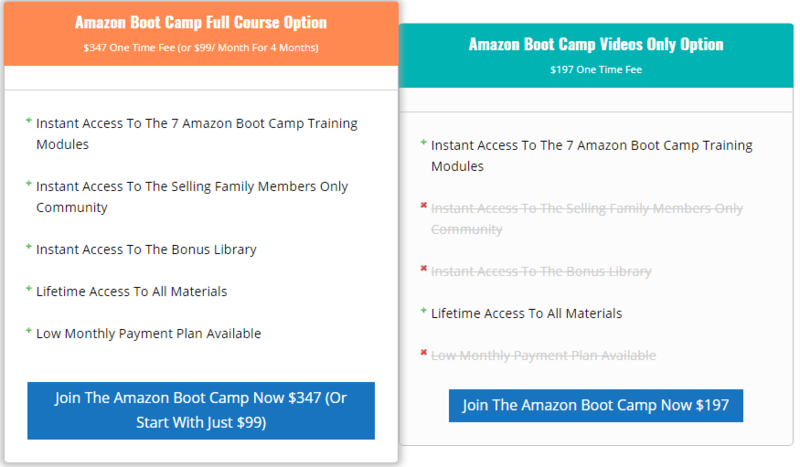 Amazon Boot Camp V 3 (ABC) is an online course by The Selling Family (especially from Jessica Larrew) that teaches people how to build your business using Amazon’s FBA program. 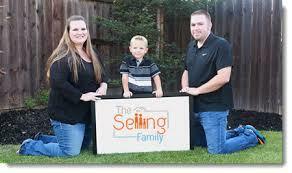 Let’s first look at The Selling Family; it is a family of three - Cliff, Jessica and their son Aiden. This family has been in business since 2012 and after six years they now comfortably earn a full-time income from Amazon. The course under review will also guide you about selling items via Amazon. ​​​​This also led them to produce a course which includes strategies they have used over the years. FBS is a type of business model in which a seller sends items to Amazon’s fulfillment centers, and then Amazon does the entire fulfillment for the seller. It means, Amazon is responsible for the sorts, packs, ships, tracks, handles returns and refunds for these products. Retail arbitrage is a method of buying items in retail stores (say for example Kmart, Home Depot or Target) and then selling them in a different marketplace (like Amazon or eBay) for a profit margin. The approach is to find the clearance item from above stores, buy it, then ship it to Amazon FBA and earn a profit margin. It’s not illegal to do, and people do it every day to make some additional income on the side. Though I have listed many places where you can sell those items but based on my research, Amazon is the best place to sell when getting started. What's in the Amazon Bootcamp V3.0? If you join this course, you will get lifetime membership, high quality video training, and support in the form of Facebook group. How Much Does ABC Cost? You can elect to pay the full cost of the course $347 (one time), or spread it out in 4 payments of $99 each ($99 x 4 = $396). You can avail this option for paying $197 one time. One thing to remember is that Jessica advises you have a minimum budget of $500 to pay for inventory and other incidental costs. I have also written reviews on Proven Amazon Course (PAC) and Amazing Selling Machine (ASM). All of these courses are great with the common objective of providing guidance on building a successful business via Amazon FBA. However, people often in a dilemma that which course to choose to start their journey. Proven Amazon Course (PAC) is an excellent course on FBA, and its price is $399 (or 3 Payments of $146). Local Retail Arbitrage – It means you can buy products from retail stores (Walmart, Target, etc.) and then sell those products on Amazon. Private Label Strategies – You will also learn how to source items from different countries (like China), private label them (branding) and then sell those items on Amazon. The US or non-US Doesn’t Matter – So if you are residing in the USA or even outside USA (Canada, UK, Germany, say for example), you will learn how to source items directly to Amazon and then make money from it. Your location couldn't hinder you to start this business. Though PAC is an excellent course in all those areas I have listed above, but I prefer PAC for options 2nd (Private Label) and 3rd one (US or Non-US). So, if your preference in that area, go for the PAC option. However, for local retail arbitrage, I recommend you to see Amazon Boot Camp. This is also the product under review, but I want to tell you clearly that this course is all about local retail arbitrage (For the residents of USA who buy items in USA and also sell them in USA). Here you will get all the strategies for buying in the US and then sell also in the US. So, if you are a resident of US and looking for making money from retail arbitrage, go for Amazon Boot Camp. However, if you live outside US or looking for private labeling option, then this isn’t for you. Amazing Selling Machine has also focused on Private Labeling Strategies, but the course comes up at a price of $3,997 in a one-time payment or 5 payments of $997. Moreover, this course opens for two to three time during the year for a limited number of days and even if you like to join them, they will not entertain you unless they open their doors. That's why i prefer above two products over ASM. To summarize all this, Amazing Selling Machine is a very expensive product, so I suggest you leave this altogether. If you like to step in Local Retail Arbitrage business, join Amazon Boot Camp and if your personal choice is to sourcing from China or any other country and then sell them on Amazon, join Proven Amazon Course (PAC). One more thing, if you live in a country other than the US, then I also recommend you to buy PAC. I have seen their member’s area, and it includes top-notch training material on FBA business. The course is in video format with the inclusion of PowerPoint-style presentation, with text, and images. Some of the videos are live actions from the Jessica when she was actually scanning, printing, and packing products for you to see. While other videos are over the shoulder when she takes us through filling out forms, picking products, and parts of the Amazon site that you will need to get familiar with. I pleased to see that Jessica provides everything from start to finish about FBA business. So, you don’t need to spend time on Google for your questions. 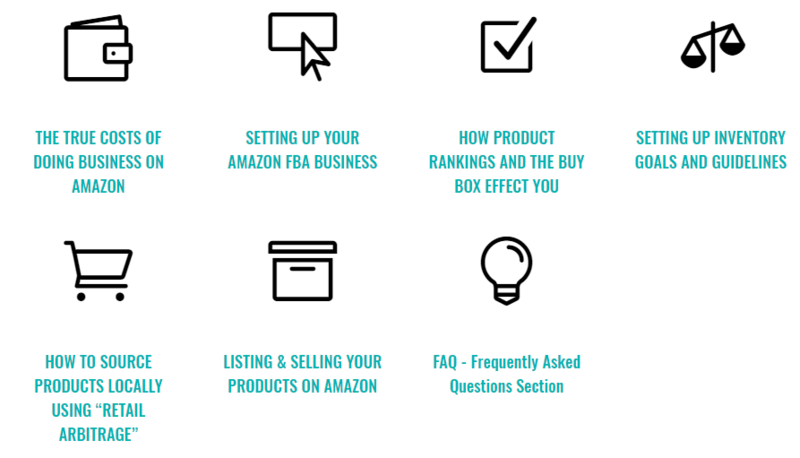 How to set up your Amazon FBA business account? How do product rankings work and the buy box affect you? How to source products locally using retail arbitrage? If you look at the product, it is the third version. So, Jessica cares for her customers and provides them updated information. This also includes new strategies from her because she is involved in this business full time. That’s why she knows which strategies are working right now and which aren’t. It is also important because you are paying a one-time fee and you will get all the future updates for free. You can contact the owners via the forum and their Facebook group. If you join their Facebook group, there are thousands of members, and you will see activity in a group on a daily basis. Some of the members are asking questions about pricing and refunds, tips on properly package items, as well as some success stories! I always rate those products higher which have a good support system because as a newbie you may get stuck anytime, and the only that brings you out is the support you get from the system. There are many retail arbitrage scanning apps out there, but the one this site recommends is Amazon Seller App. It’s a free app that you get access to with an Amazon Seller account. I know most people asked which items to buy for retail arbitrage? Definitely, the answer is which provides you the best ROI. So, using this app, you will get the answer to this question very effectively. The app allows you to “scan” the barcode of any product. Then it will tell you the selling price on Amazon, what the exact fees to sell the item are and many more other pieces of helpful information. 6. A lot of Bonuses! Some very great bonuses have been added to the third version of boot camp. These worth a few hundred dollars in their own right. So having extra training on topics like sales tax and bookkeeping is something that could really pleased you about. Other topics like which items to buy, where to source items are important too, but all the tax knowledge is really what I found interesting and helpful. Guide on sales tax exemption to save almost 10% right off the top of your purchase price! The biggest flaw of ABC is its high training cost. For most newcomers, paying out $347 for an online course can be a relatively high-cost investment. Despite it is far lesser than $3997 of Amazing Selling Machine (AMZ). Please also remember that this price is only a training cost and apart from this you also have to spend to start your own FBA business; such as designing and building a web store, costs of inventory, and marketing your site. Add them all together, and you are looking at a range of $1,000 to $1,250 in startup costs. I have already stated that this training is designed for US people as it only guides you to buy local products at low prices from retail stores and then sells them on Amazon. If you are resident of other countries, I suggest you see my PAC review which also guides you on how to start your FBA business. You shouldn’t expect early results as everything takes time to build. Though I don’t give you a time frame for earning a decent income. Nevertheless you should apply it for a year to see significant growth. You need to reinvest to scale this up. You aren’t building a business that can earn you a passive income or even to sell it. You will make money provided you put the time in it, but as soon as you stop - the business ceases to exist. That means that your business has very little value and will be difficult to sell. You are totally reliant on Amazon’s goodwill. If you make a mistake or didn’t comply with Amazon policies, you could risk losing the account and business. So, this is all about putting all eggs in one basket. In short, Amazon Boot Camp is an excellent course designed for people who want to earn a good income from retail arbitrage on Amazon. It includes everything you need to start with FBA, and it is always up to date. Moreover, if you are fed up seeing “Doors Closed” in Amazing Selling Machine (AMZ), then ABC is the right opportunity for you. However, if you are looking for private labeling business, then ABC isn’t for you. Though there are few tutorials included in this course about private labeling but it is very limited. For private labeling or if you are a resident of outside US and wanted to use FBA business, I recommend you to go for PAC option. If you don’t love the idea of selling on Amazon and just want to make money online, you should also consider Wealthy Affiliate. It’s an online business training platform that trains newbies how to start a website and sell digital or physical products for affiliate commission. You can also sell products from Amazon without having to carry inventory! It has a very active community where members are always exchanging ideas about how to build their business. It’s also where I discovered how to start my first affiliate business four years ago! I prefer this business model because it allows me control and passive income. Even if I desire, I can sell it up to 30 times of my monthly income. What's your thoughts on my Amazon Boot Camp V 3.0 review 2019 and if there is any question in your mind, please ask me in the comment section.